Alaric Jacob was at King’s from 1922 to 1925. His novel Seventeen was published in 1930, when he was 21. Jacob noted: “Seventeen bears its name because it is by a seventeen-year-old about seventeen-year-olds. 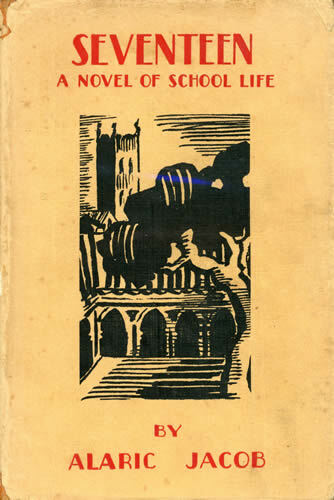 I state this in explanation – not in excuse.” The novel is thus of unusual interest as a contemporary picture of life in the ‘Commoners Yard’ at the school he calls ‘Furlington’ in the 1920’s.